This week marks five years since Homestead Genealogy (formerly Homestead Genealogical Research) was created, and with one hundred and thirty-five blog posts to date, although my pace may ebb and flow, I expect no shortage of research to share in the months and years ahead. 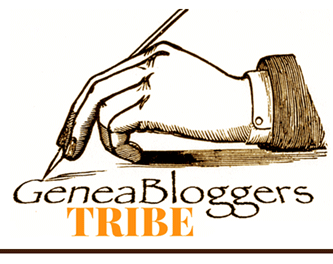 Thank you to the GeneaBloggersTRIBE for wishing Homestead Genealogy a Happy 5th Blogiversary. 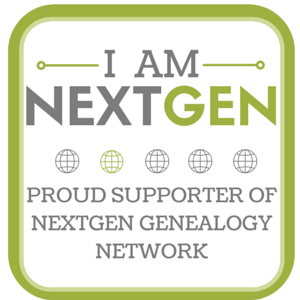 I appreciate the genealogy blogging community as well as all of my readers! This entry was posted in Professional Development on August 31, 2018 by Melanie Frick. James Walsted, Juanita Hansen, unknown, Clifton Walsted, and Ellen (Walsted) Hansen, Iowa or Oklahoma, ca. 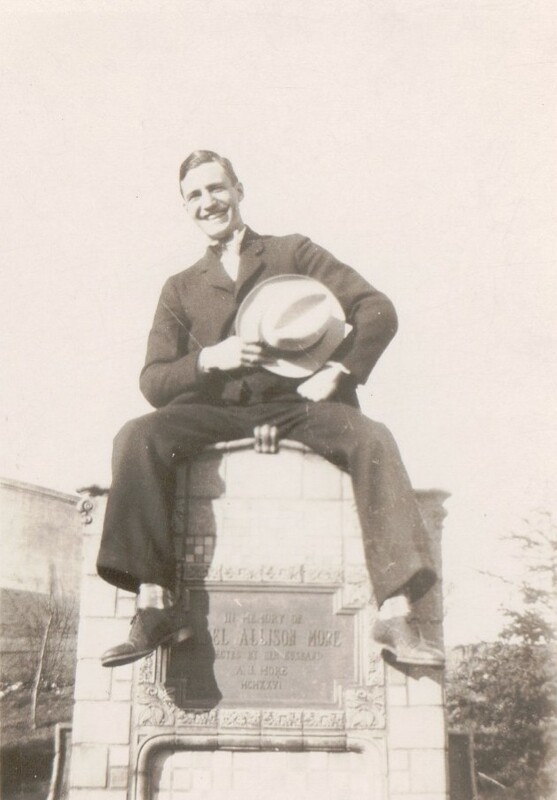 1907; digital image privately held by Paul Hansen, 2018. Provenance of the original unknown. 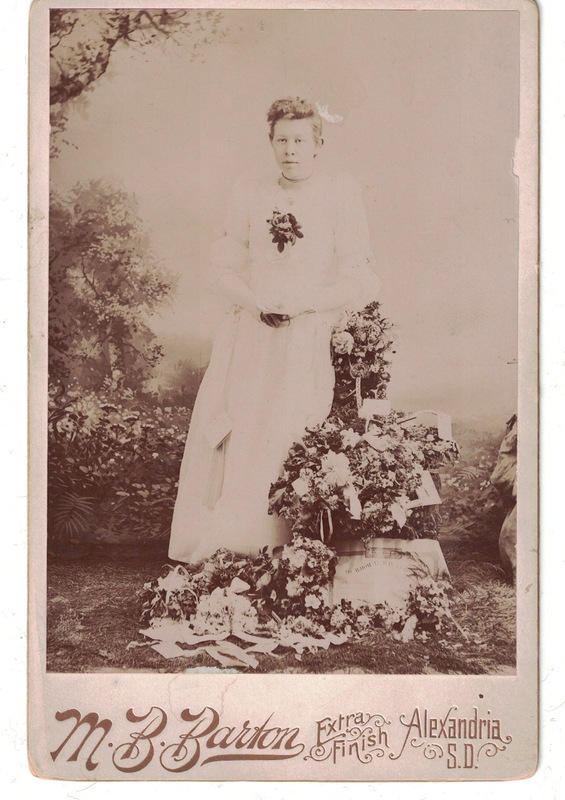 The provenance of the original photograph is currently unknown, and until it is recovered and the reverse checked for any possible inscriptions, questions about it remain. Where were James and Ellen when this photograph was taken? The group poses casually outside of a house with wood siding and a stone foundation; a cellar door and the corner of a porch are also visible. Two narrow windows, one open, offer a glimpse of fluttery ruffled curtains. 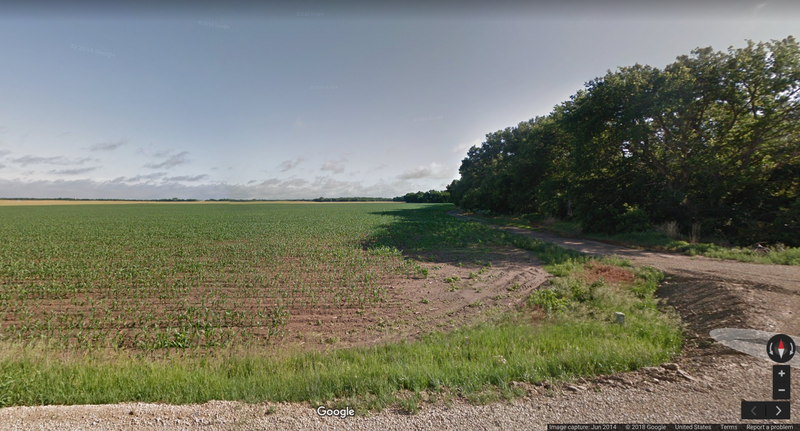 It is possible James might have visited Ellen in Oklahoma, where she spent several years; alternately, it might have been taken at the Iowa homes of their sisters Jensine (Walsted) Winther or Anna (Walsted) Johnsen, both of whom had young sons who could be candidates for the little fellow seated on the cellar door.11 Regardless of the location, however, this informal outdoor photograph gives more insight into the personalities of these immigrant siblings than most studio portrait ever could. This entry was posted in Photograph Analysis and tagged 1900s, antique photograph, Danish, Denmark, family history, genealogy, immigrants, Iowa, Oklahoma, Valsted, vintage photograph, Walsted on June 27, 2018 by Melanie Frick. 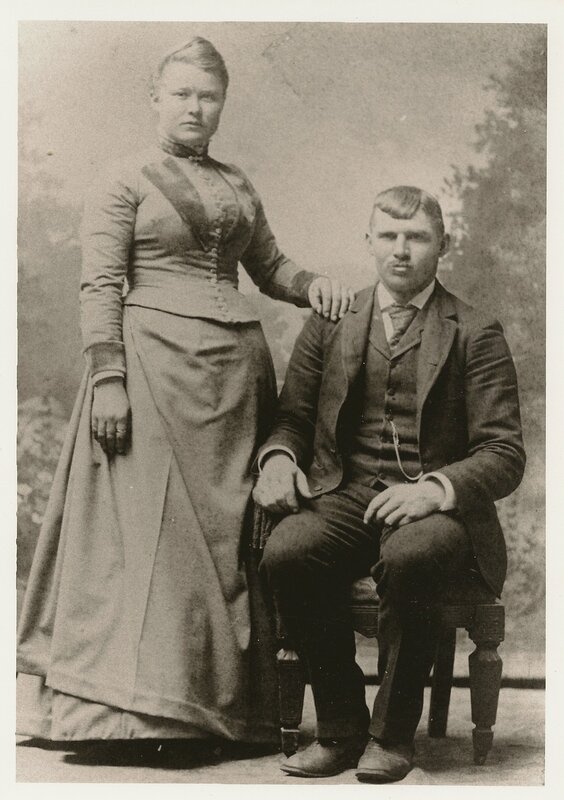 Hiram and Eva Margaret (Stoehr) Hammond were a couple who, at the surface, appeared to have little in common. Hiram, who was said to have been born on 26 February 1813 in Ohio, first appeared in public record when he purchased land in Jackson County, Iowa Territory in the spring of 1845.1 Presumed to be in his early thirties at this time, Hiram spent the next nine years honing his skills as a farmer before purchasing one hundred and sixty acres of land near Volga, Clayton County, Iowa.2 Although there are speculative connections potentially linking Hiram to the family of War of 1812 veteran Jonathan Hammond and his wife Lovisa Herrington, no connections have yet been verified. Find A Grave, Inc., Find A Grave, digital image (http://www.findagrave.com : accessed 13 July 2014), photograph, Hiram H. Hammond (1813-1896), Memorial No. 84463650, and Eva M. (Stoehr) Hammond (1831-1906), Memorial No. 84463738, Garnavillo Community Cemetery, Garnavillo, Clayton County, Iowa; photograph by Ken Johnson, 2016. Note: The third headstone belongs to daughter Amelia Hammond (1857-1872). 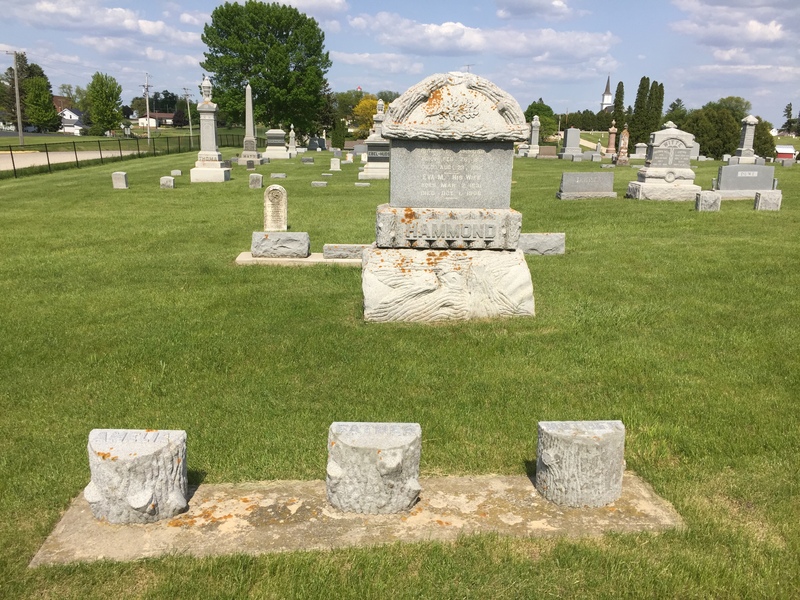 This entry was posted in Tombstone Tuesday and tagged family history, genealogy, Germany, gravestone, Hammond, immigrants, Iowa, Ohio, Stoehr, Stohr on May 29, 2018 by Melanie Frick. 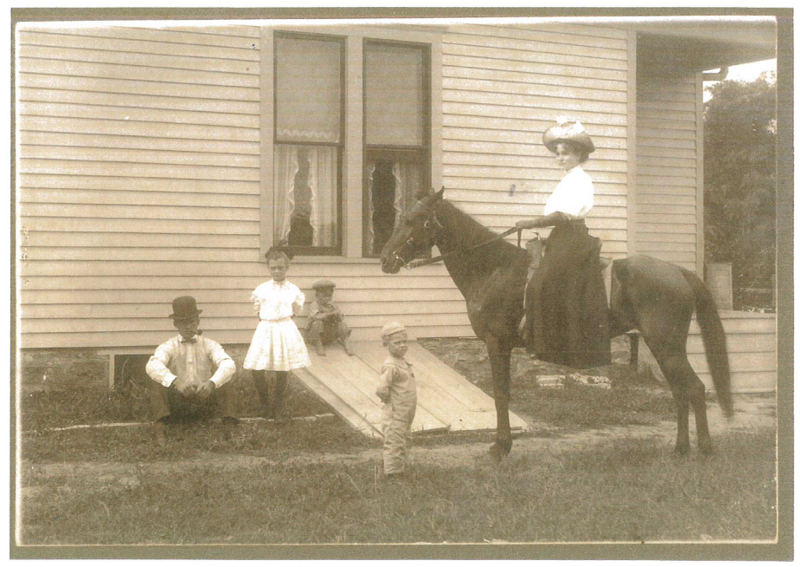 I was intrigued when I learned that one of my ancestors had homesteaded as a widowed woman on the Kansas frontier. After reviewing a copy of her homestead application, I was further intrigued to find that, as fascinating as her experience as a homesteader must have been, the application itself contained clues to another story. Although just five years of residency were required for one to file the deed on a homestead, it was seven years before Nancy submitted her proof of residency.5 As was typical, this was provided in the form of testimony from Nancy as well as two witnesses. Interestingly, the witnesses’ statements in their individual testimonies were so nearly identical that it begs the question of whether, despite the notation indicating that witness testimony must be taken separately, they might have testified at the same time. At the very least, they might have collaborated to ensure that their recollections matched. But why might these witnesses have cared so much about providing flawless testimony? 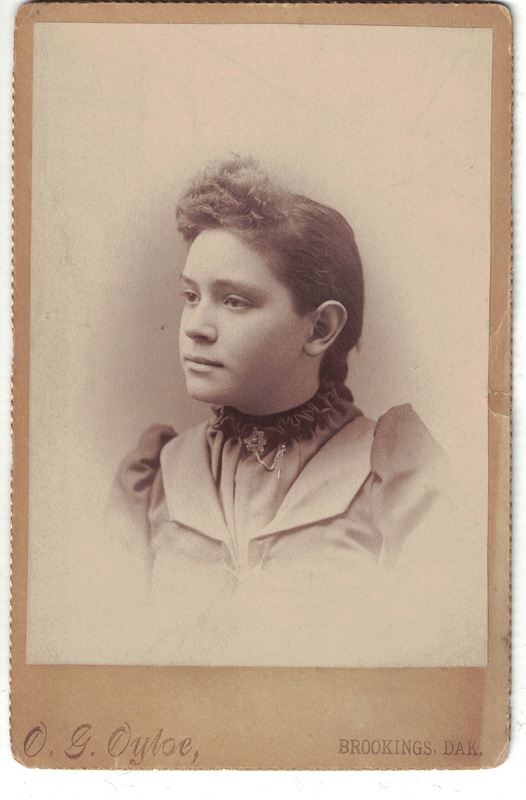 The first witness, William Stahl, was Nancy’s son-in-law, who had married into the family in 1865.8 While he had claimed land of his own and did not share Nancy’s homestead, he still may have skirted the issue of his relationship to Nancy and his ties to the homestead when he stated that he had known Nancy for just ten years and that he had no interest in her claim. The second witness, Elithan Davis Hall, was twenty-five years old and recently married.9 Notably, he was Nancy’s own son. 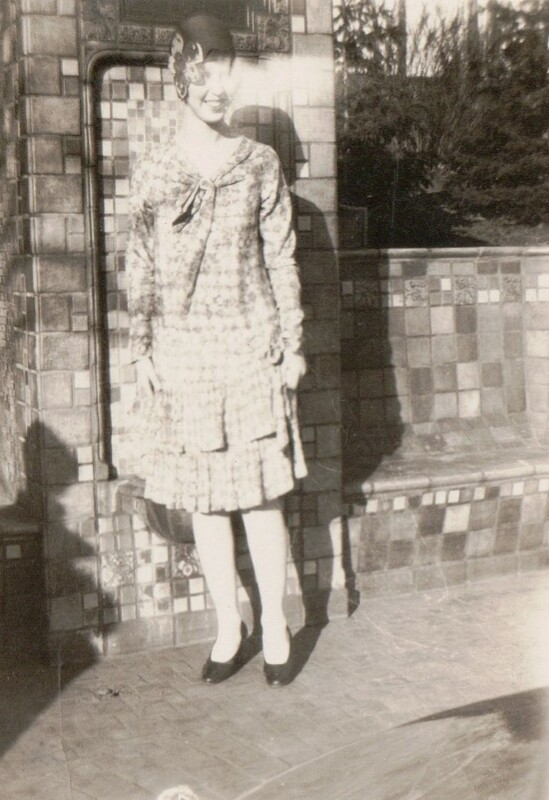 However, when faced with the question, “Are you well acquainted with Nancy Hall the claimant in this case, and how long have you known her?” Elithan replied, “I am and have known her ten years.”10 Of course, Elithan had known his own mother for his entire life—not merely for the past decade! He also stated that he had no interest in her claim, when his labors certainly must have helped to bring the homestead to its success. While the witness statements provided by William Stahl and Elithan Davis Hall stretched the truth in terms of the particulars of their relationships to Nancy and her homestead, it seems unlikely that any truly nefarious deception was intended. Perhaps the guidelines were misunderstood, or perhaps no witnesses who were not also related to Nancy, whether by marriage or blood, were available to provide the statements. It seems possible that William and Elithan might have escorted Nancy to town and stepped in at the last minute in order to expedite the filing process. This entry was posted in Uncategorized and tagged 1870s, family history, genealogy, Hall, homestead, Kansas, Land Records on February 27, 2018 by Melanie Frick.